"To commemorate the twentieth anniversary of the original Beatles Anthology project comes The Beatles Anthology Revisited, an 18-episode, 28-hour long audio documentary podcast presenting the Beatles' story in the Beatles' own words. John, Paul, George, and Ringo, are joined by George Martin, Brian Epstein, Neil Aspinall, Mal Evans, Pete Best, and Derek Taylor in the retelling of the history of the Beatles, from its beginnings during the bandmates’ childhoods in World War II, up until the present day, most recently when Paul McCartney and Ringo Starr performed together at the Rock & Roll Hall of Fame in 2015. At more than twice the running time, hear all the dirty details left out of the original Anthology. Discover the inspiration behind virtually every original song the Beatles ever released.Listen as the story is told beyond the breakup, exploring the Beatles' history through the 1970s and after. Every tour, every album, every film, and every hit single is recounted in painstaking detail by John, Paul, George, and Ringo and their inner entourage. The Beatles Anthology Revisited is the Beatles' Anthology like you've never heard it before.​"
The series is also available to download as individual podcasts at iTunes for free. Typhoo Tea Limited goes back to 1903 when Birmingham grocer John Sumner developed and sold a blend of tea in his shop. John’s sister, Mary, was the inspiration behind the product development, as she highly regarded tea as a cure for indigestion. Over the years, the Typhoo business has developed from being the first brand to sell ready packaged tea, to being a leading tea business that now offers products in every sector of the tea market. Paul McCartney has been telling stories of him and John skipping school to stay at his place, writing songs and smoking Typhoo tea. By the mid 1960s, Typhoo was annually packing more than 80 million pounds of tea and exporting to 40 countries worldwide. 22-27 July 1963, The Beatles were performing a series of concerts in Weston-Super-Mare, and photographer Dezo Hoffmann spent one of these six days with the Beatles, taking photographs and colour (mute) 8mm home-movies of the group at their hotel and on location on the beach at nearby Brean Down, where they dressed in Victorian bathing-costumes and also went go-karting" [Lewisohn, The Complete Beatles Chronicle, p. 117]. John C Winn concludes that the day at the beach was on the 27th. 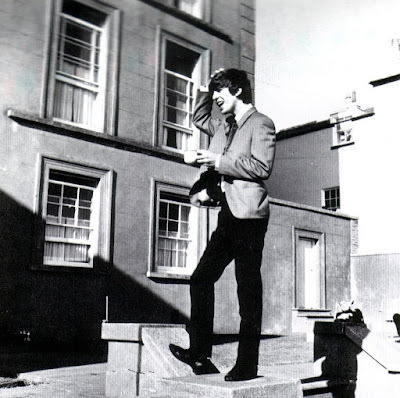 Also after these photos, the Beatles returned to the hotel to shoot a series of photos to advertise Typhoo tea. 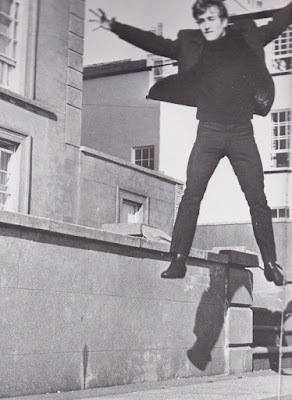 Now dressed in suits, each Beatle is seen attempting to spell out the letters of the product's name, and jumping from a staircase railing [Winn, Way Beyond Compare, p. 67-68]. 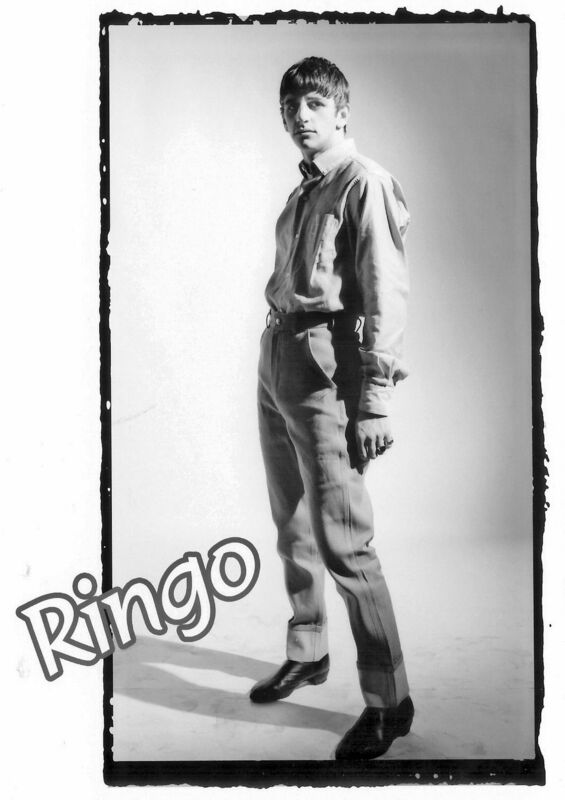 Although these pictures exist (Ringo's was provided to us by Guus Limberger, initially we didn't have one of him), I haven't been able to find any Typhoo tea advertisements that actually made use of them. 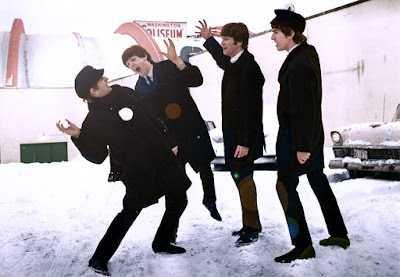 This colour image from a silent film in the Dezo Hoffmann collection, alongside action shots of the other Beatles jumping for their poses has been used in several DVD releases and on at least one promo film. According to early word from dealers in Japan, notorious bootleg company HMC will be releasing the 1992 Ron Furmanek restoration of The Beatles' "Let It Be" movie as part of their ongoing TMOQ Gazette series. It's the 1992 restoration that was originally announced as coming out on a video cassette back in 1997 from a UK based video company, which never happened. Earlier this year, the Apple part of the movie was divided into 3 parts and uploaded on YouTube by Revolver Records and Video, although heavily watermarked. Now it looks as we can lay our hands on a DVD version of the film in far better shape than previous bootleg incarnations of it, as well as surpassing the early eighties release of the film for the home markets in USA, Germany and the Netherlands. Of course, all the earlier official releases, including the theatrical one, have been in mono only, whereas Furmanek provided his restored version for Apple with a soundtrack which featured as much stereo versions of the songs as Furmanek was able to find in the Apple/EMI archives. 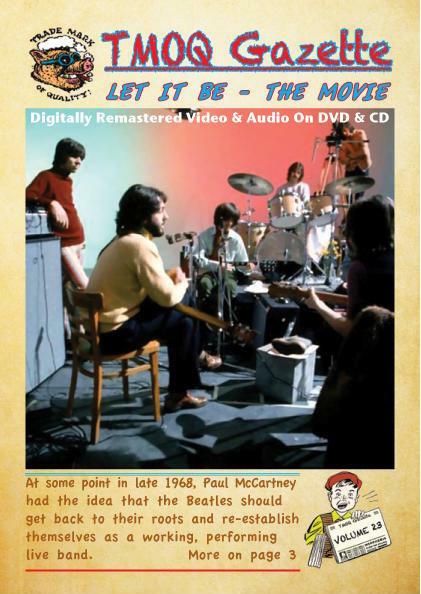 Later bootleg DVDs have been able to use stereo versions as found on the original "Let It Be" album, "Let It Be...Naked", the Glyn Johns compilations and various official promos and snippets from documentaries to render most of the soundtrack in stereo, but the Furmanek restoration will have even more material in stereo than these. The best would be if Apple and The Beatles could get us an official release of the film, as further restoration work as well as new transfers from the original film to digital was undertaken in the 2000's, but in the mean time, the HMC release will suffice for your viewing pleasure. The movie is on the DVD and the soundtrack of the complete film is on the accompanying CD. We have also heard that outtakes from the film will follow on a subsequent TMOQ Gazette release. 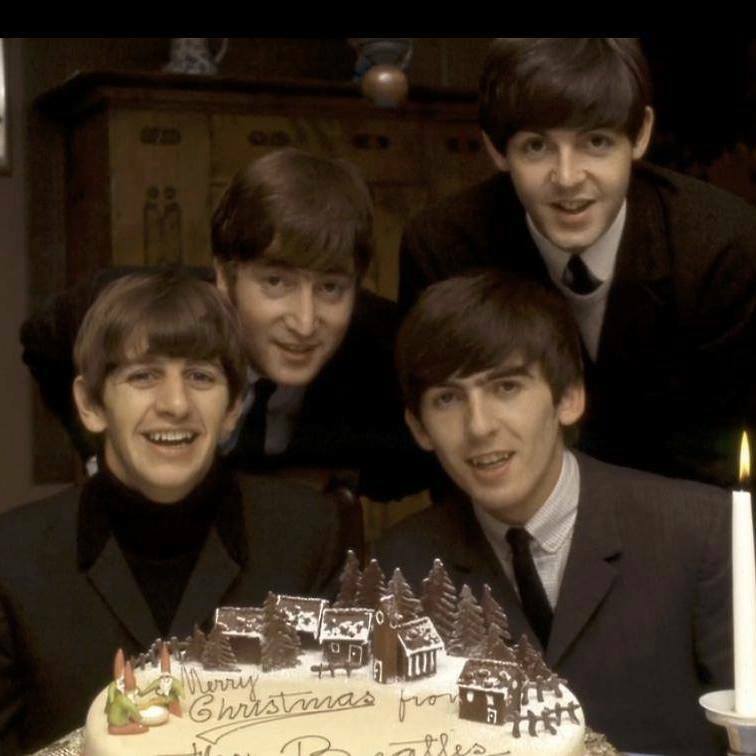 The big news this Christmas is that part of the Beatles' catalogue now is available from major streaming services. To illustrate what this means, here's a story. In the summer of 2013, I arranged a Beatles night in Oslo, where we had a lottery, we had a lecture, a quiz and we had a live band. The event was held at a renowned cafe in Oslo, next to the Pop music museum, "Popsenteret". In the various intermissions in the evening's programme, we were going to keep the audience entertained by playing Beatles music over the cafe's speakers. This proved not to be possible as is, because the venue depended solely on the services of Spotify. This was their only source for musical entertainment. Usually, this was enough for their customers, because Spotify could provide almost any kind of music from a wealth of artists. But it fell short when it came to the Beatles. Yes, we could access the solo careers - but when it came to Beatle music, all that was available were the Polydor recordings - the songs they made as a backing band for Tony Sheridan. And that's how a lot of the bars, pubs and cafes are equipped around the world today. No CD player, no means of getting music from a USB stick to get played over the speakers - all they have is access to the world of streaming - usually from one of the main providers of such, be it Spotify, Wimp/Tidal or the new Apple Music service. It's also convenient for the business, as the systems keeps track of which songs by which artists are played, so that the pub etc can pay the fees required. Until now, people who visit these places have not been able to enjoy real Beatles music. I'm very happy that this problem now has been resolved. And I bet that The Beatles have negotiated better revenue from streaming than most other artists. The various streaming providers have been promoting their newfound music lately, by releasing various promotional films. Fans can now stream the Beatles' 13 UK studio albums (the 2009 remasters) and two compilation albums ("Past Masters 1+2" and "Beatles 1" 2015 Remixed and Remastered) on Apple Music, Spotify, Google Play, Amazon Prime, Slacker, Tidal, Groove, Rhapsody and Deezer. Early figures from Spotify suggest that in less than the first 12 hours, Beatles songs have been streamed a huge 413,000 times. Esoteric Recordings has announced the release of a newly re-mastered and expanded 2 CD edition of the classic 1968 self-titled album by Mike McGear & Roger McGough. A joyous potpourri of late 60s psychedelic rock, poetry and humour, the original vinyl album "McGough & McGear" has been a highly sought after (not to mention expensive collector's item) album from a free thinking era in British culture. 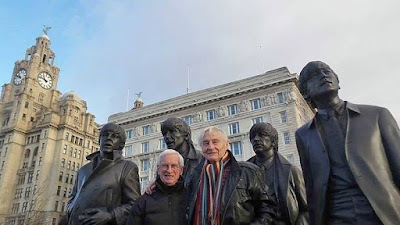 As members of Liverpool comic poetry group The Scaffold, Roger McGough and Mike McGear (a pseudonym adopted by Mike McCartney – brother of Paul) had signed to Parlophone Records in 1966 and had begun working with producer George Martin. 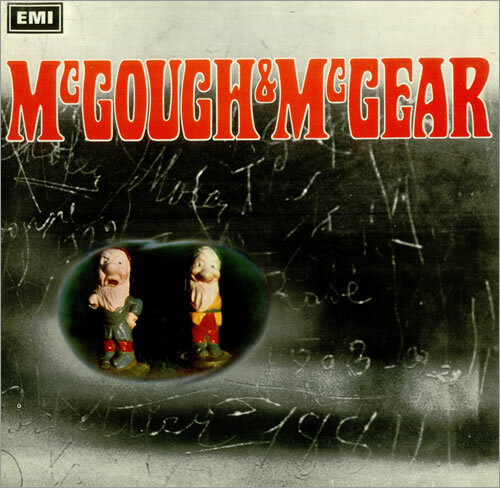 The "McGough & McGear" album was the result of recording sessions at various studios in London in the summer of 1967. Paul McCartney assisted in the production of the record and a host of well-known musicians guested on the sessions, albeit uncredited. Alongside Mike’s elder brother, the musicians included such luminaries as Jimi Hendrix, Graham Nash, Dave Mason (Traffic), John Mayall, Spencer Davis, Paul Samwell Smith (Yardbirds) and Viv Prince (Pretty Things). The album was originally going to be released on the new Apple label, but that didn't happen. Original Parlophone catalogue numbers for the album: PMC 7047 (mono) and PCS 7047 (stereo). The album has been out on CD several times, first in the UK (EMI, 1989), then in USA (Real Gone Music, 2012) and finally Japan (Parlophone, 2014, limited edition). Alongside the 1989 CD release, the album was also re-released on LP (new Parlophone catalogue number PCS 7332) and as a cassette. The 2014 Japanese version has 2 bonus tracks, "So Much" (Phased Mono Version) and Scaffold's "Do You Remember?" This Esoteric Recordings edition has been re-mastered from the original Parlophone master tapes and features both the stereo mix and the mono mix of the album over two CDs for the very first time. 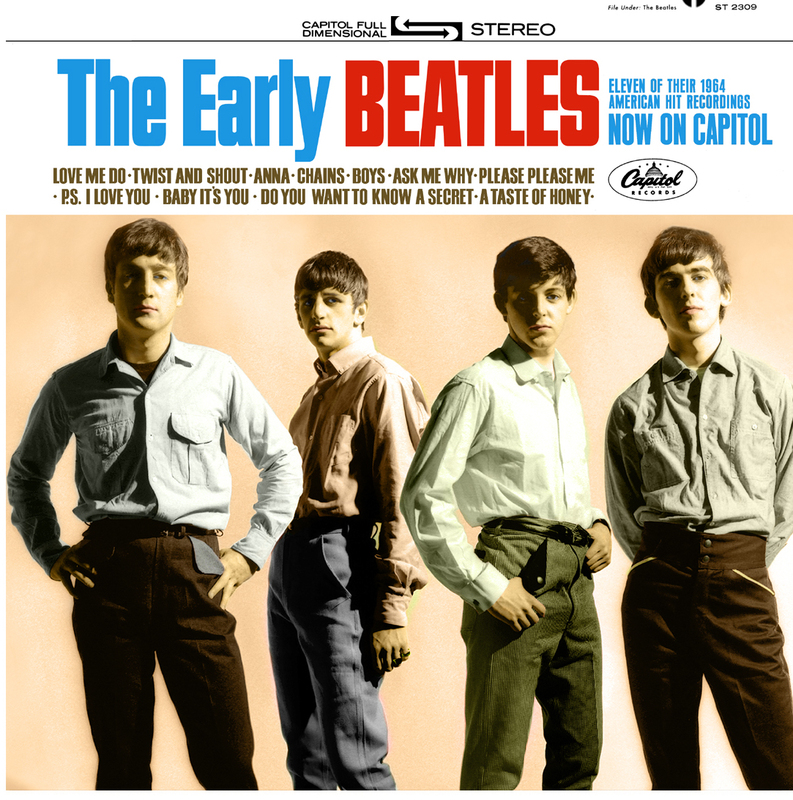 The reissue restores the original album artwork and liner notes by Beatles’ biographer Hunter Davies and also features a new essay with an exclusive and extensive interview with Mike McCartney. No bonus tracks here though, just the mono and stereo versions of the album. This edition will be released on 5th February 2016, and may be preordered from Cherry Red Music. Still image from a new music video which was revealed 18 December. Paul McCartney stars in the new video for "Love Song to the Earth," an all-star collaboration recorded in the lead-up to the Paris climate conferences. 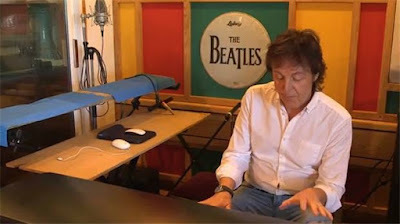 While the lyric video was unveiled in September, McCartney, along with Colbie Caillat, Sean Paul, Natasha Bedingfield and Q'orianka Kilcher, appear in the song's proper video exploring the beauty of the planet and the potential ravages of climate change. The video follows an accord that aims to cut greenhouse gas emissions. 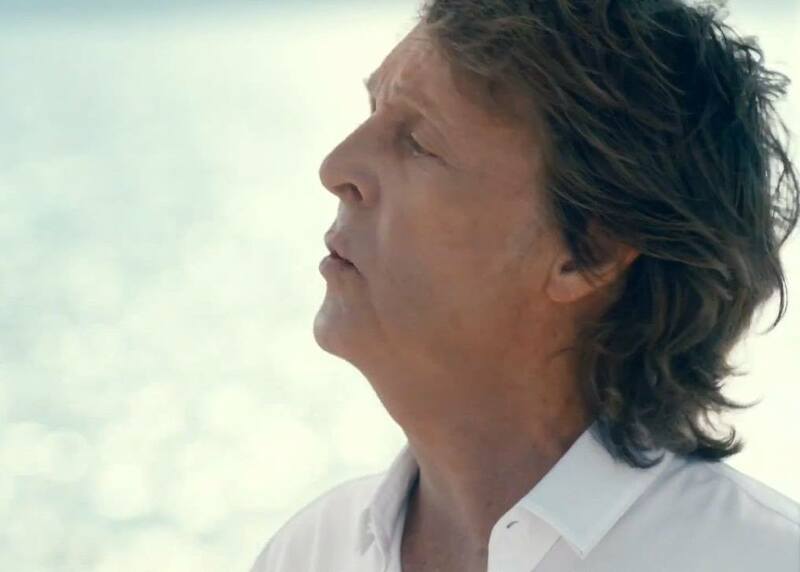 McCartney sings his verses while strolling alone on the beach and gazing out toward the ocean. Award-winning cinematographer Louis Schwartzberg contributes the stunning images of nature in the video. "I'm glad to be a part of 'Love Song to the Earth,' aiming to inspire people across the world to urge their leaders to act on climate change," McCartney said in a statement prior to the Paris climate talks. "We need to be fast and efficient, switching to renewable energy and eating less meat, for example. Big decisions will be made this week, so I am doing everything I can to make sure governments sign up to an agreement, which can protect our planet. Now is the time to act. So please spread the woes and help keep our planet safe!" "Love Song to the Earth," which is available for purchase, was penned by Toby Gad, John Shanks, Bedingfield and Paul and also features Jon Bon Jovi, Sheryl Crow, Fergie Leona Lewis, Goo Goo Dolls' Johnny Rzeznik, Angelique Kidjo, Nicole Scherzinger, Kelsea Ballerini, Krewella and Victoria Justice. Proceeds from the sale of the video benefit Friends of the Earth and the UN Foundation. Source/Read more in Rolling Stone magazine. The Beatles are about to hit the streaming services this winter, a report in Billboard suggests. Billboard reported today that The Beatles are set to bring a special Christmas gift to those who prefer to have their music delivered through streaming services. This according to Billboard sources with knowledge of the negotiations. 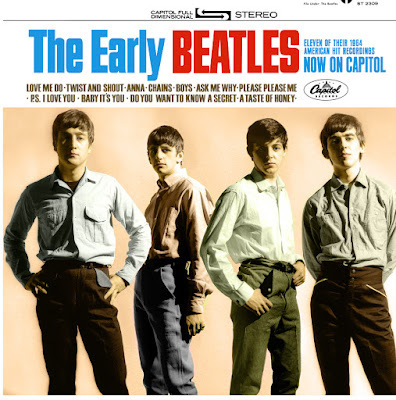 There are conflicting reports on the timing of the Fab Four's arrival to streaming platforms, but Billboard says there's a strong indication that streaming fans will be able to hear The Beatles on Thursday, Dec. 24 - Christmas Evening. It's unknown which specific services have secured the deal, though sources strongly suggest that most, if not all, will have access to the band's catalogue of studio albums next week. Representatives of Spotify and Rhapsody have returned requests for comments with a "no thanks", while Apple Music, Tidal, Deezer and Slacker have yet to reply to Billboard's request. Music consumption from streaming services has begun to officially overtake downloads in revenue generation for the major labels, Billboard reports. So how about a special welcome gift, like the full "The Beatles at the Hollywood Bowl" album as a streaming exclusive? Or maybe the Christmas flexis? 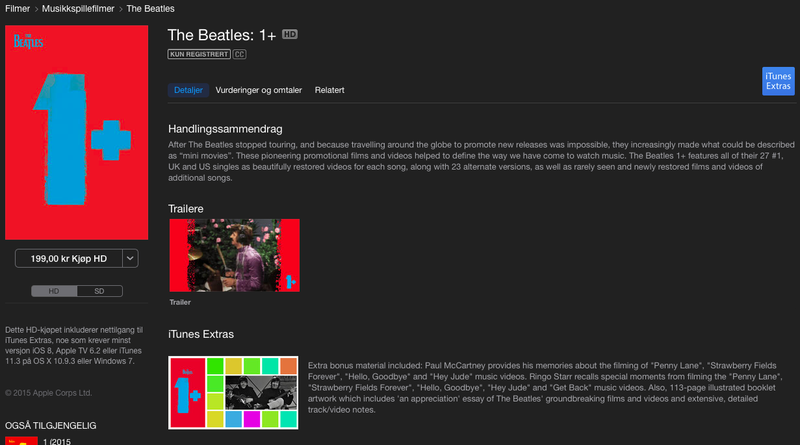 Beatles 1 with the new stereo mixes has been available on iTunes since November 6, but now the videos are also available from Apple's namesake. 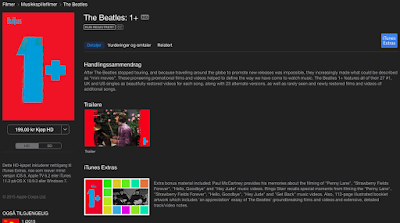 Available now around the world on the iTunes Store, The Beatles 1+ longform video presents all 50 meticulously restored promotional films and videos, each with new stereo and 5.1 Dolby Digital surround audio mixes. 1+ includes restored videos for all 27 of The Beatles’ No.1 U.K. and U.S. singles, plus 23 more, including alternate versions and other rarely seen clips. iTunes Extra: The bonus commentaries by Paul and video intros by Ringo are also included with this package, as is the 113 page illustrated booklet - now in digital form. 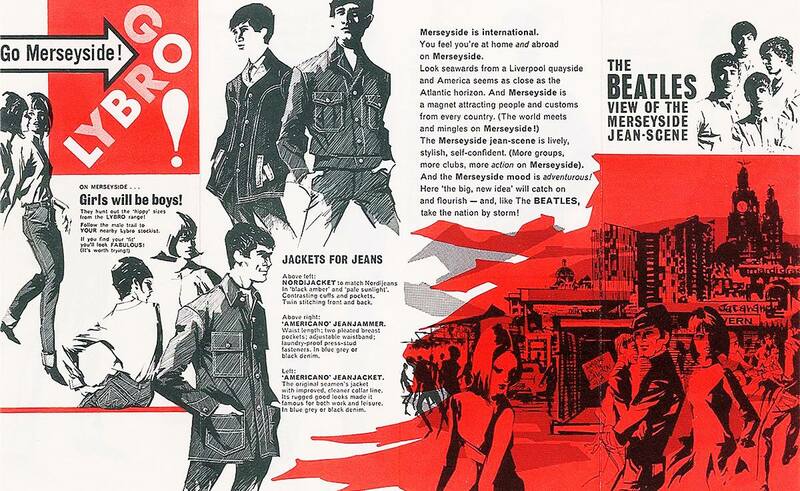 In 1963, a Liverpool jeans company, Lybro Limited, asked if The Beatles would advertise their jeans. The request may either have come through the group's manager, Brian Epstein - or through their friend at the Cavern Club, DJ Bob Wooler. 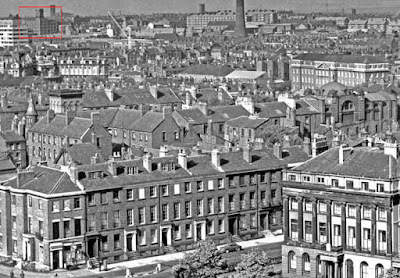 The advertising agency behind the campaign was Millican Advertising Limited, operating from Liverpool 3. 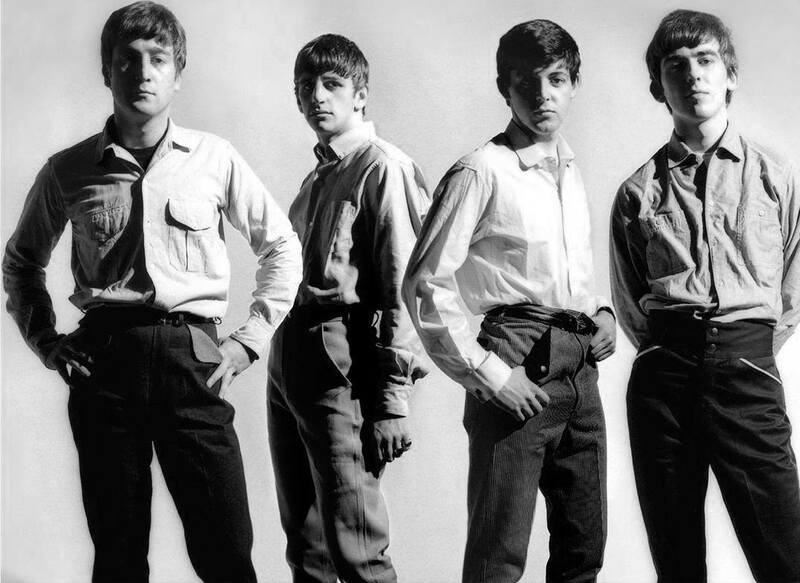 Some time in spring or early summer 1963, The Beatles were photographed for the advertisement. The photos weren't used as is, but formed the basis of drawings, which appeared in ads for the jeans. The Lybro Factory was located in Liverpool on Mount Vernon Road. 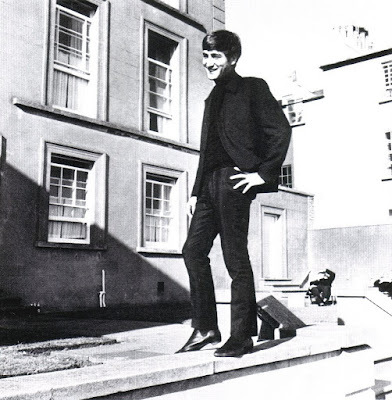 According to Photographer apprentice Richard Cooper, the photo shoot occurred on the week their third single, "From Me To You" reached number one in the UK. This would turn out to be the only non-musical product endorsement The Beatles agreed to venture in throughout their career, other than their own merchandise. Looking north from the Liverpool Cathedral tower, 1962. Lybro factory in red frame in the upper left corner. The advertising campaign was geared towards the Merseyside's youth as Lybro was competing against Levi's at the time. Their cheap and thin Empire denim was really no match for the likes of Levi’s. 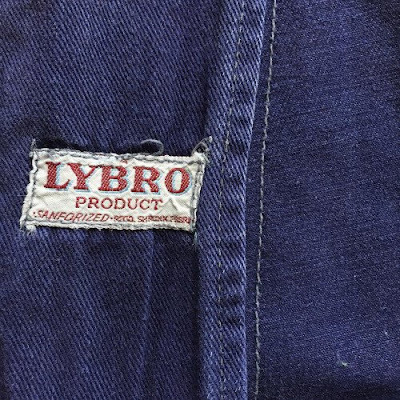 "Lybro made four different jeans for the band. 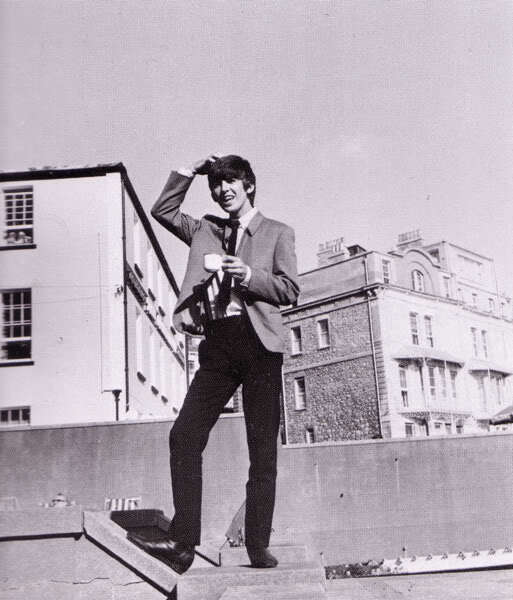 Paul’s were dog-tooth, John’s striped, Ringo’s were black and George’s royal blue. 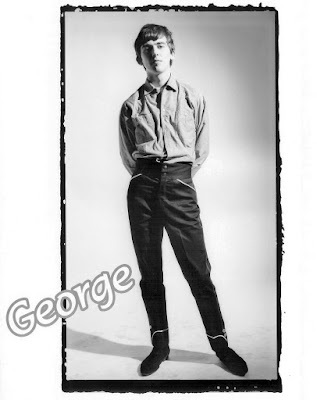 The band hated the jeans. They were hideous." 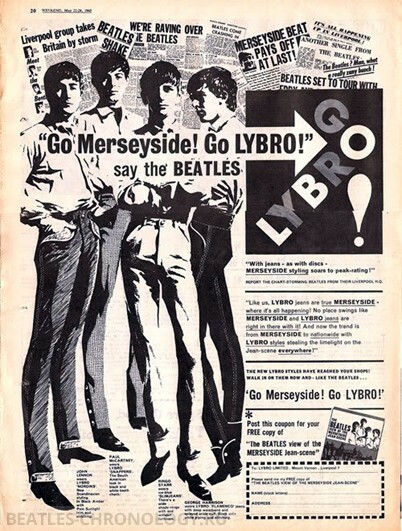 "The huge importance the band placed on always looking Fab can be gauged from the fact that the Lybro affair was the first and last time The Beatles would ever advertise anyone else’s product." - Fab Gear: The Beatles and Fashion by Paolo Hewitt. 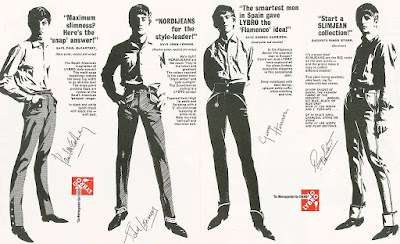 This is the main Beatles related item, a rare fold out advertising flyer for Lybro Jeans, featuring the drawings of the Beatles. 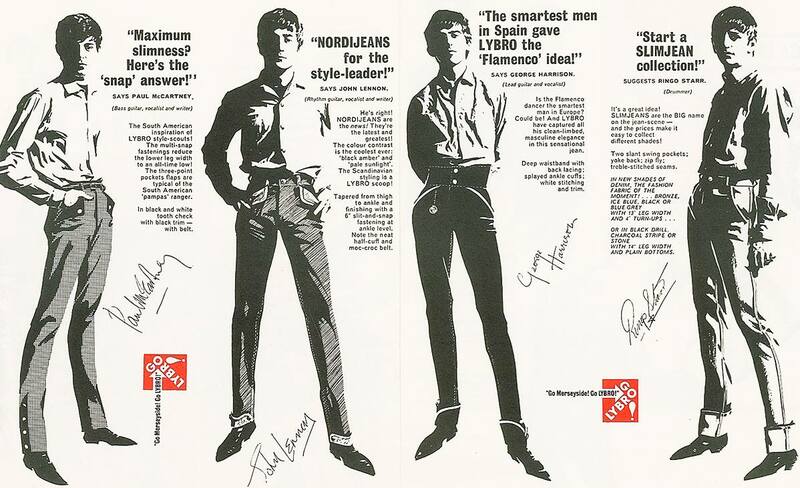 The leaflet folds out to reveal a black and white image of Paul, John, George and Ringo with a facsimile signature next to each image and a comment on the jeans. When folded out it measures 35cm x 22.5cm (14 inches x 9 inches). The campaign, featuring the folder, at least one full page advertisement and at least one post card, was only in effect during the summer of 1963. The original photos came to light in 2004, when photographer Richard Cooper unearthed the pictures in an old file and remembered the shoot on which he worked as a young 20-year-old apprentice at a photo studio in Liverpool's "African Chambers". The photos formed the basis of drawings used on the final advertisements, whereas the actual photographs remained with the photographer until he brought them to public attention in 2004. Five photographs have been published: one group shot and one photo of each Beatle. A drawing was also used in a full page ad. 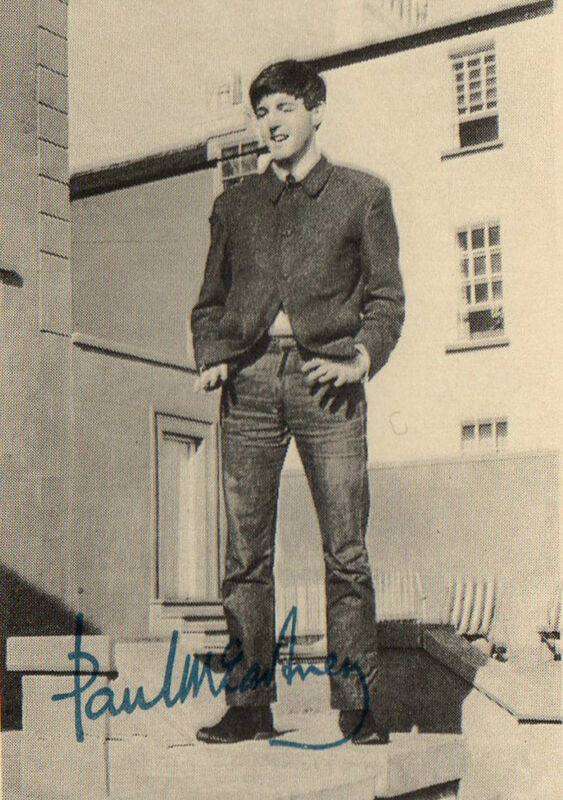 The photo which the drawing in the full page ad was based on. Richard Cooper said: "They look moody but they were very relaxed and amused about the whole business. 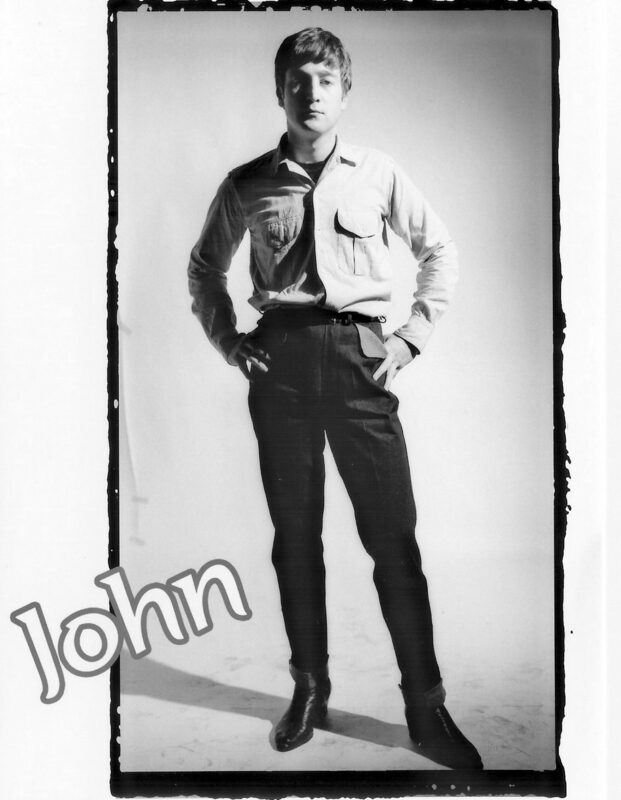 It was at the shoot that John announced to the other members of the group that they would be number one by the end of the week, a fact they took completely in their stride. They stayed until the pictures were developed and made their comments about each one". Here are the four individual full figure portraits of the Beatles which the drawings were based on. The photographs were all originally in black & white, but have turned up colourised in later years. 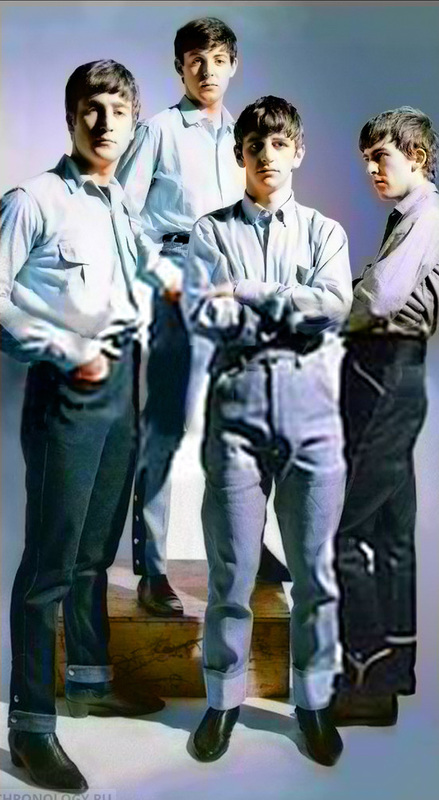 Recent colourised version of the four individual shots. The Lybro factory was demolished in 1983, as part of the extensive roadworks to improve access to the M62. While many of us are looking at Beatles 1 sliding down the charts, the Beatles are still not promoting the collection on TV. But they are continuing to promote the release by uploading and publishing full music videos on their Beatles Vevo and YouTube accounts. The above "Hey Jude" video was published on December 7. The publishing of this video may have been prompted by a December 4 article in The Guardian, who brought forth another fan's account of being present at the taping of the various "Hey Jude" films. 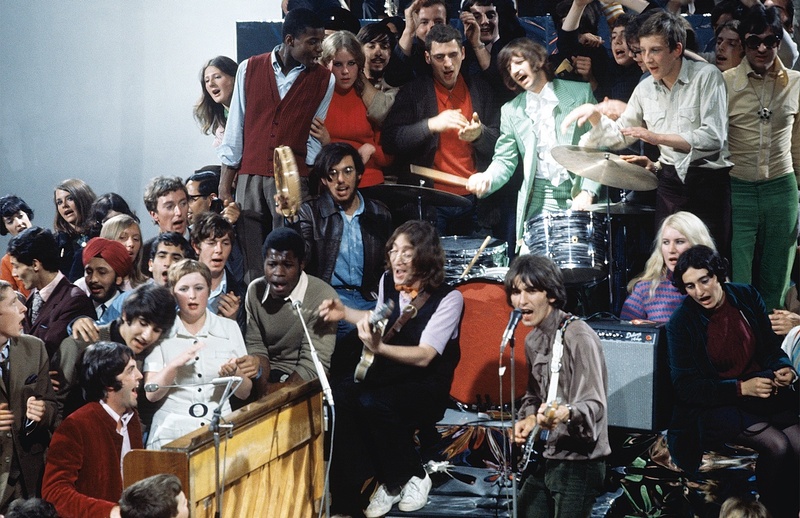 This time, it's American fan Joel Soroka who steps forward in a piece called "That's me in the picture, Joel Soroka shakes a tambourine at the filming of Hey Jude, 4 September 1968". The article is posted online, here. You may read about Margaret Morel's account of that same event in one of our earlier blog posts. Joel Soroka, shaking that tambourine in the center of the photo. 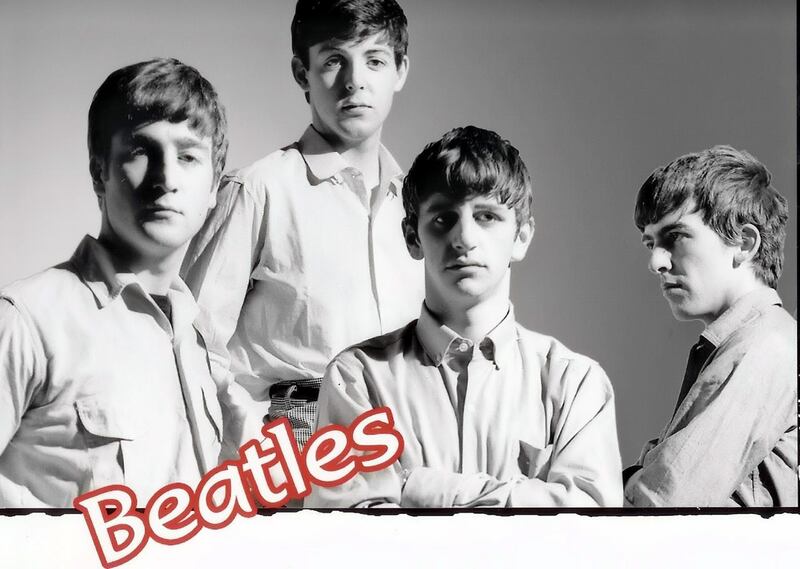 Copyright Apple Corps Ltd.
"Hey Jude" topped the charts in Britain for two weeks and for 9 weeks in America, where it became The Beatles longest-running No.1 in the US singles chart as well as the single with the longest running time. 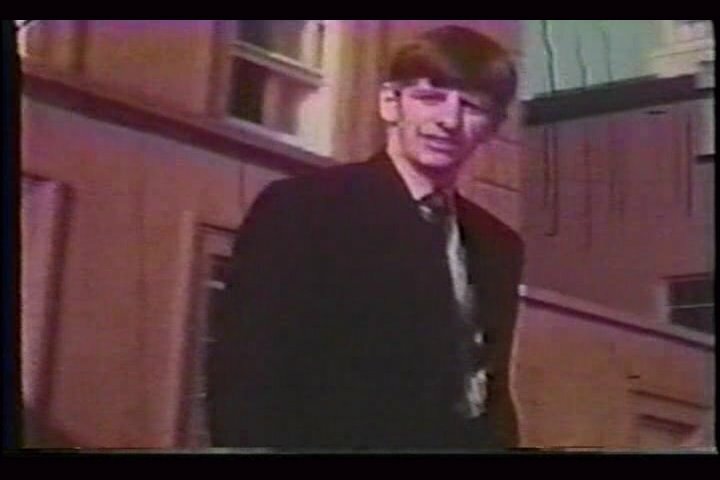 The Beatles did not record their promotional film until "Hey Jude" had been on sale in America for a week. 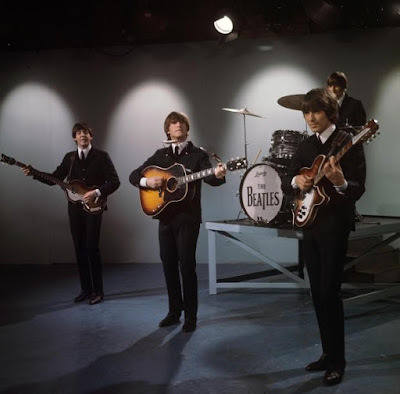 They returned to Twickenham Film Studio, using director Michael Lindsay-Hogg who had worked with them on "Paperback Writer" and "Rain". Earlier still, Lindsay-Hogg had directed episodes of "Ready Steady Go!". And a few months after the film for "Hey Jude" he made The Rolling Stones "Rock and Roll Circus" TV special that featured John and Yoko but wouldn’t be shown until 1996. To help with the filming an audience of around 300 local people, as well as some of the fans that gathered regularly outside Abbey Road Studios were brought in for the song’s finale. 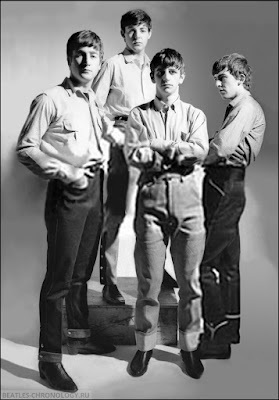 Their presence had an unlikely upside for The Beatles in their long-running saga with the Musicians’ Union in that the MU were fooled into believing the band were playing live, when in fact they were miming for the vast majority of the song. Paul, however, sang live throughout the song. The video was first broadcast on David Frost’s "Frost On Sunday" show, four days after it was filmed. At that point transmission was in black and white although the promo was originally shot in colour. A version was first aired in America a month later on 6 October 1968, on "The Smothers Brothers Comedy Hour". 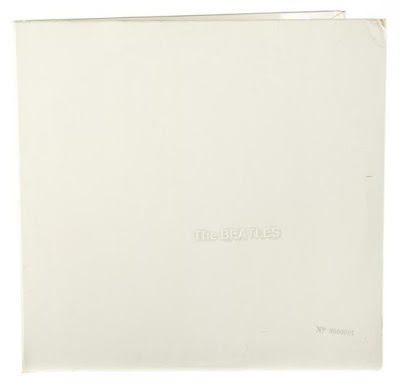 The white album surpassed the previous world record for a gramophone record, set when Elvis Presley's first acetate recording sold for $300,000 earlier this year. The mono white album #0000001, UK edition. A few of the items were bought by Indianapolis Colts' owner Jim Irsay, who seems to be establishing a museum of his own, having previously acquired roughly 30 famous guitars, including instruments used by Paul McCartney, John Lennon, Bob Dylan, Jerry Garcia and Eric Clapton. 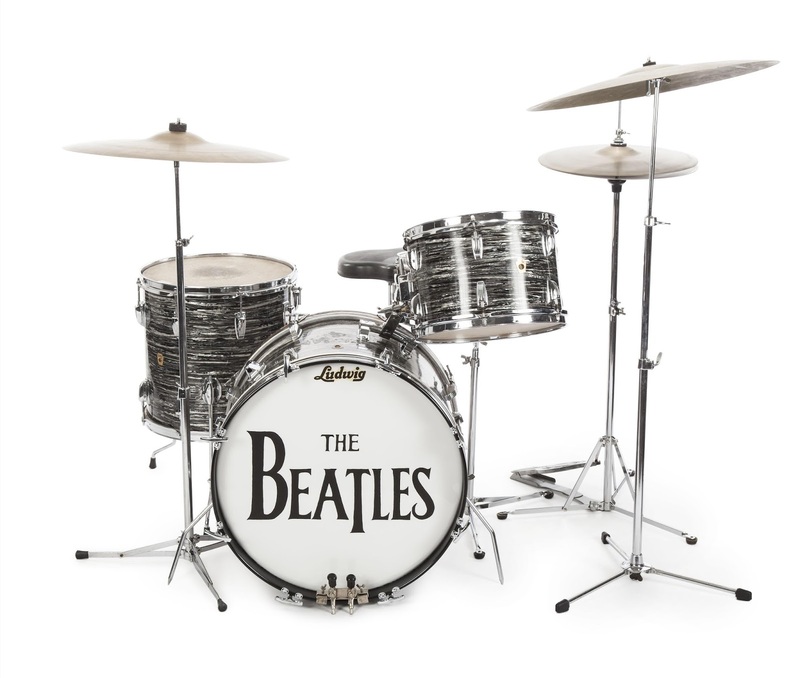 Earlier this year, he also purchased another of The Beatles' drumheads. The drumhead of the first Ludwig Beatles drumkit which Irsay bought at Ringo's auction is a replica (depicted above), the original was kept by Paul McCartney after he had borrowed Ringo's kit to use on his first solo album, "McCartney" in 1970. From Paul McCartney's "Mill" studio. 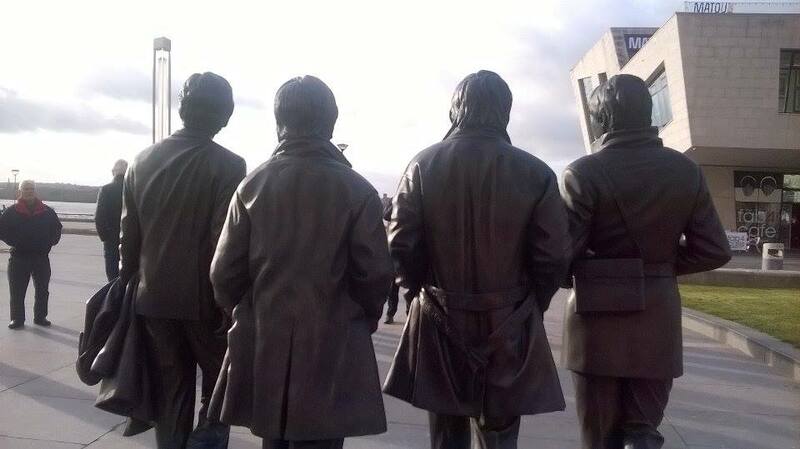 Beatles statue on Liverpool's waterfront. 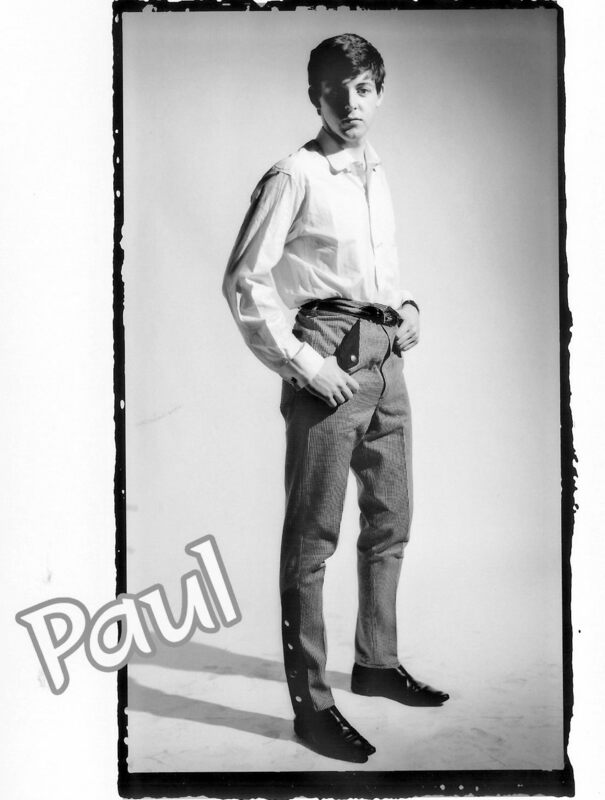 Photo: Paul Dean. 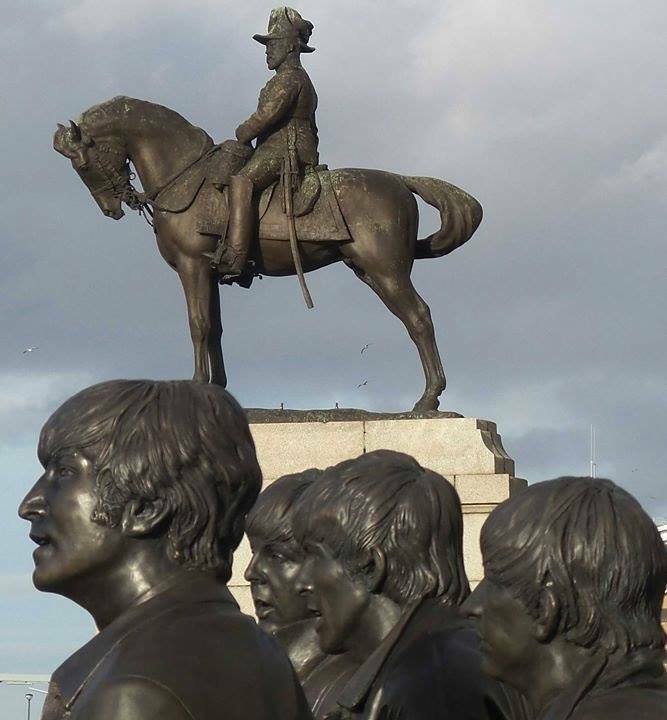 A new statue of the Beatles has been unveiled on Liverpool’s Pier Head . 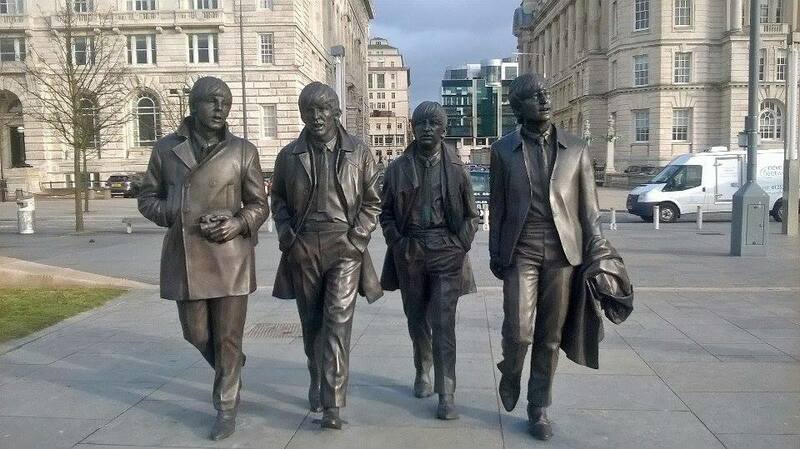 John Lennon ’s sister Julia Baird and Liverpool deputy mayor Cllr Ann O’Byrne officially unveiled the giant bronze of the Fab Four today. The statue has been donated to the city by the Cavern Club , and coincides with the 50th anniversary tomorrow of the Beatles’ last concert in their home city when they played at the Liverpool Empire. 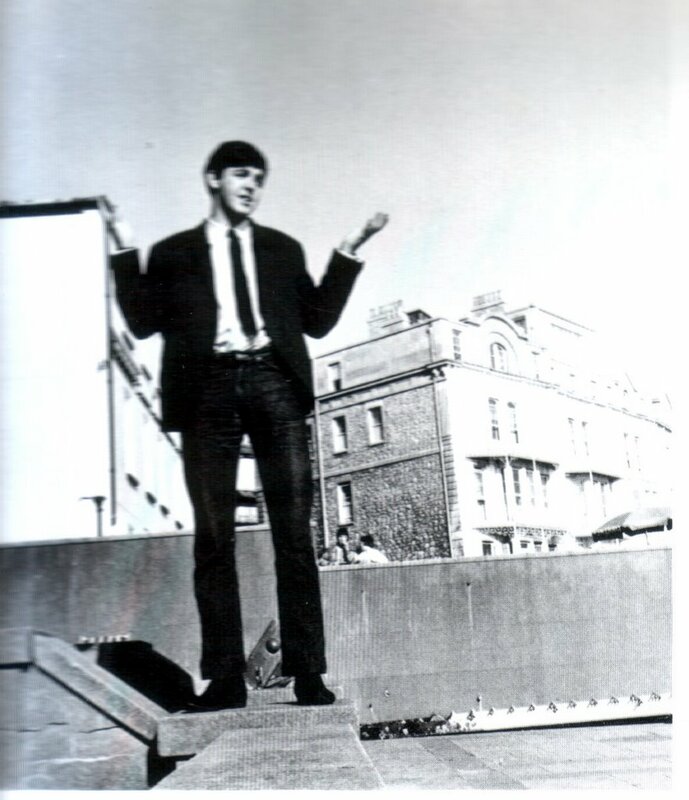 The statue, which weighs in at 1.2 tonnes, was sculpted by Andrew Edwards and looks like it has been modeled on the Dezo Hoffmann's photo which was used on the cover of "On Air - The Beatles Live at the BBC Vol.2". Julia Baird said: "It’s a great honour to unveil this statue. I know John would have loved it. And I bet Paul comes to see it as soon as he comes back here." The Beatles are facing the river Mersey, Ireland and across the Atlantic, USA. 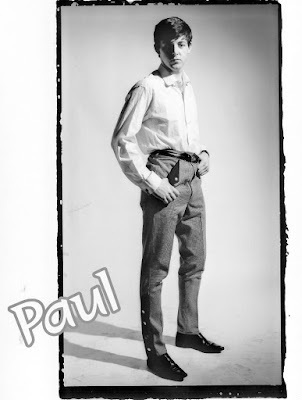 Photo: Paul Dean. ShowBiz TV, a brand-new U.K. entertainment channel for the discerning viewer, launches on 8th December 2015 @ 6.30pm. ShowBiz TV is a free-to-view platform offering the broadest range of exciting programming, seven days a week. Broadcasting on Sky channel 266 (National), Manchester (Freeview 80) and TV Catchup Online, there will always be something for everyone, they say. 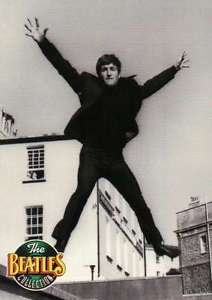 The channel launches on 8th December with a World Exclusive: “THE LAST LENNON INTERVIEW”. It's not really, but it's one of the last and the last really long one. On 6th December 1980, having given not a single British press interview for ten years and having been a domestic recluse for half a decade, baking bread and bringing up the baby, John Lennon and his wife Yoko One spoke to Radio 1 broadcaster Andy Peebles in New York about their new album, “Double Fantasy”. The interview covered an astonishing range, no subject taboo. John talked for more than three hours about the Beatles, their break-up, his first meeting with Yoko, his conversion to feminism, his heroin-addiction, his drinking, his music-making and song writing, and his hopes for the future, both for his family and for his career. Andy Peebles flew back to London with an unprecedented eight precious reels of tape in his bag. But while he and his production crew were half-way across the Atlantic, the most famous rock star on earth was shot dead by a deranged assassin at point-blank range, outside his home, the Dakota building. Only upon landing was Peebles made aware of the tragedy. He was accompanied by uniformed policemen to the BBC's studio at Heathrow, where he was forced to talk about the murder live on air. Not since then has he discussed it publicly. “The Last Lennon Interview has been an extraordinary piece to work on,” comments Executive Producer Scott Millaney. “I had been trying to persuade Andy Peebles to talk about his historic interviews with John Lennon and Yoko Ono for more than twenty years,” adds co-producer Lesley-Ann Jones. 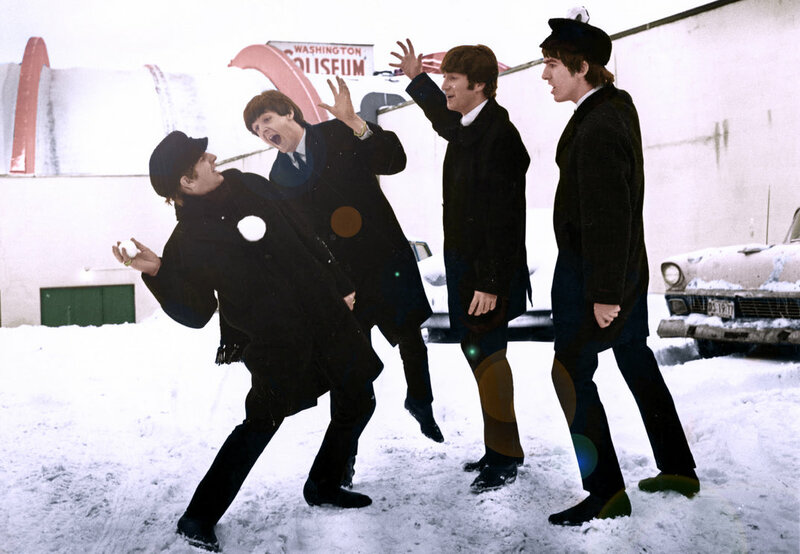 The Bob Bonis Archive has partnered with "Big Brothers Big Sisters Mentoring Programs" to sell never before seen prints of the Beatles and Rolling Stones on their first US tours. These prints are limited editions and once they sell out they will never be printed again. 25% of sales go directly to Big Brothers Big Sisters Mentoring Programs. You can read more about this in Rolling Stone, and you may purchase prints from this website. 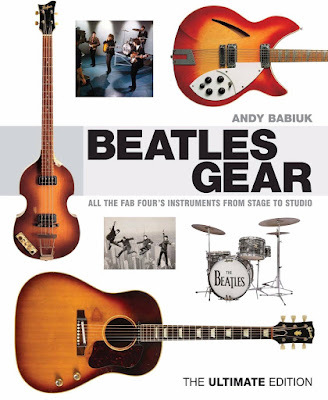 Andy Babiuk's reference book about the Beatles' instruments, 2015 edition. 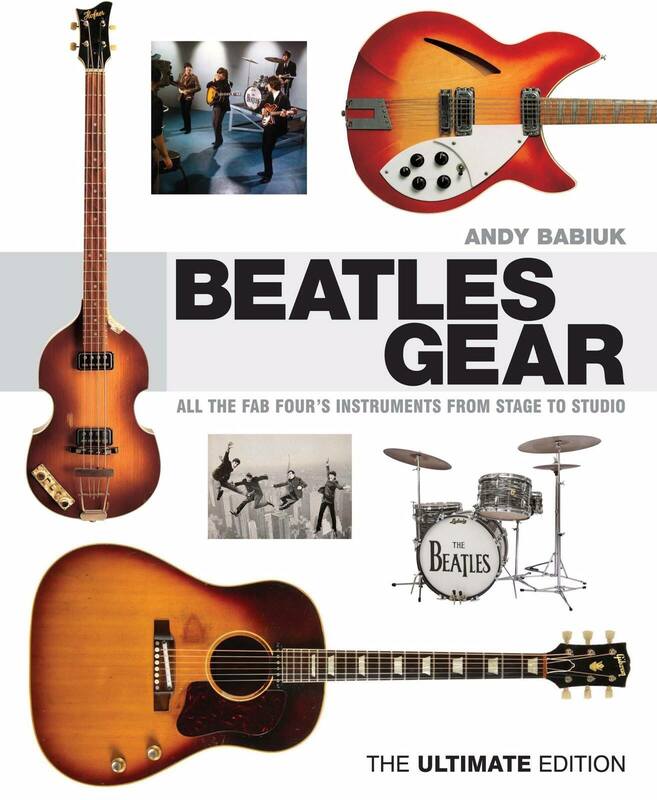 Andy Babiuk has released his new book Beatles Gear: The Ultimate Edition. The new must-have 512 page book is double the size of the original with over 650 additional new photos including many never before published images of the Beatles with their gear. Lots of new finds and stories! This book is the ultimate guide to all the gear used by the Beatles, and details exactly which guitars, drums, amplifiers, and keyboards the Fab Four used throughout their career, from the Quarry Men to the dissolution of the Beatles in 1970. In conjunction with the upcoming Ringo Starr & Barbara Bach auction, Julien's Auctions invites you to a book signing and presentation that Andy Babiuk, will be doing for his new must have book "Beatles Gear, The Ultimate Edition" tomorrow, December 2nd, 2015 at Julien's Beverly Hills showroom. 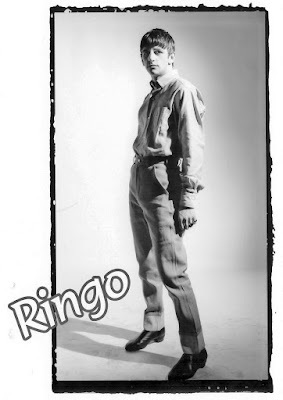 Andy will be doing an audio visual presentation about the new book and focusing on the history of Ringo's very first Beatles Ludwig drum kit and also John Lennon's Rickenbacker 325/1996 guitar. Both instruments will be on display. The current issue of Guitar Player magazine features a look at what's new in this edition of the book.